Established : 1972 | Accredited/Approved : AICTE | Affiliated : Visvesvaraya Technological University. 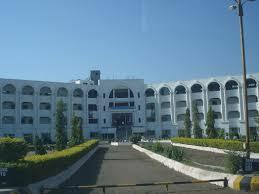 PES University is one of the India’s prominent research and teaching universities. The University is dedicated to delivering ‘education for the real world’ which encourages students to comprehend their prospective. 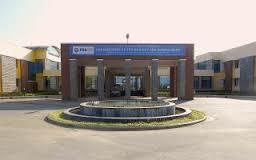 The University was established in the year 1972 in the Silicon Valley Bangalore of India as PES Institute of Technology and later renamed as PES University in the year 2013 when it attained University status by Government of Karnataka. The University is recognized by AICTE, UGC & AASCB and also has an accreditation of NAAC. The University offers various G, PG and research programs for the students. Online Mode: Candidates are supposed to apply online through official website or download the form from the website and later submit it. Offline Mode: Candidates are supposed to get the application form from the university admission Centre and fill it & submit it to the Centre with the required documents. The application fee has to be paid online through debit/credit cards or net banking or through Demand Draft drawn in the name of ‘PES University General Fund’. 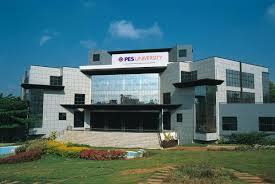 Write Your Reviews on "PES University Bangalore"
Are you Interested in "PES University Bangalore"? Please provide the following details. Ask Question on "PES University Bangalore"?